Why retailers shouldn't fear the onward march of artificial intelligence. Not everyone agreed initially. AI and machine learning solution providers rushed in to proclaim judgment day for the ecommerce merchandiser, promising a magical machine capable of reducing operational efforts and merchandising intervention to a bare minimum. This idea resonated with the market and it seemed that a new era of ecommerce was dawning. 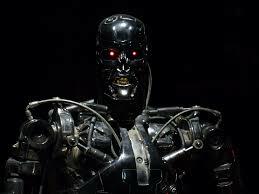 However, for now, the machines are not taking over, despite the best efforts of The Terminator film series' very own sci-fi AI model Skynet, which has been attempting a global coup since 1984. In fact, as a recent article in the Harvard Business Review reminds us, Roger Schank, one of the world's leading researchers into AI , once proposed a novel goal for artificial intelligence – that a computer should be able to watch West Side Story and recognize the plot of Romeo and Juliet. Schank and his students believed that stories are central to intelligence, reasoning, and meaning. By Schank's measure, today's AI isn't intelligent at all. 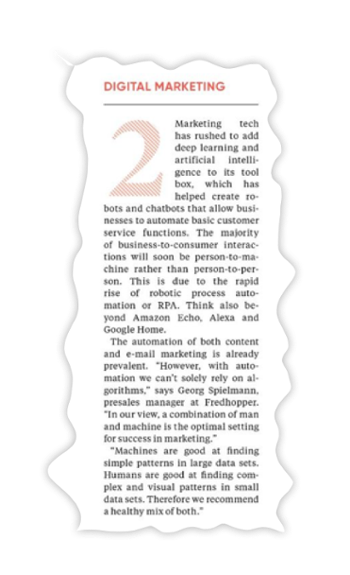 This is exactly the point of view we need to have regarding automation and machine learning in ecommerce. It should be useful to humans, but not replace human interaction. We have different, but complementary talents. Machines are good at identifying patterns in immense amounts of data and drawing conclusions. Humans are good at understanding strategy, brand image and aesthetics under fast-changing circumstances. Together, we can set trends and inspire shoppers. At ATTRAQT we have been talking about the development of human vs. machine for some time. In an interview in 2015 we explained that, looking ahead, we would not be able to solely rely on machines and that human-guided automation was the way forward. Earlier this year, The Times picked up on our comments in an article about the 'Future of ecommerce', in the context of content and email targeting. It appears that our view is hitting home and that formerly purely AI-focused tool providers are taking a step in the same direction. They now understand that they are reaching the limits of what machines can do - and what the market needs. The right way ahead for the retail sector has been and will continue to be a harmonious combination of human and machine, with the needs of the merchandiser and brand at its core.